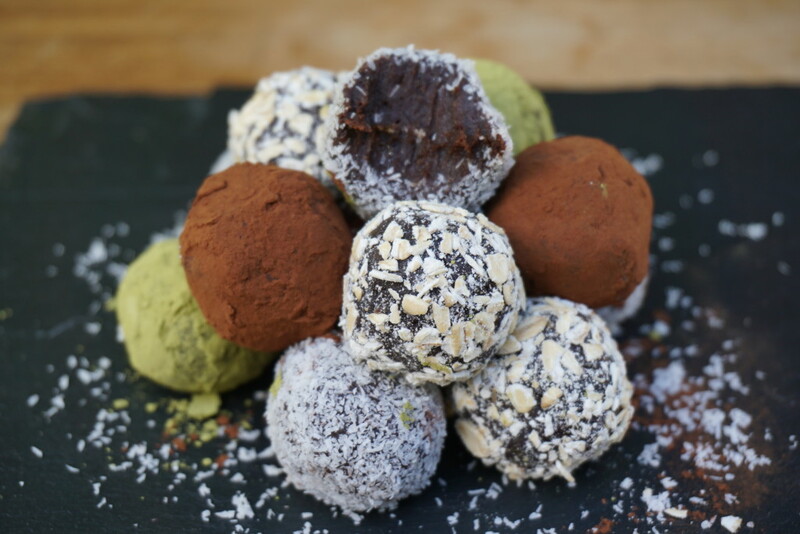 If you’re a chocolate lover and looking for a super simple sugar-free afternoon treat, this one is for you! These chocolate fudge beauties are just amazing! You can coat them with basically anything you like and they taste delicious. 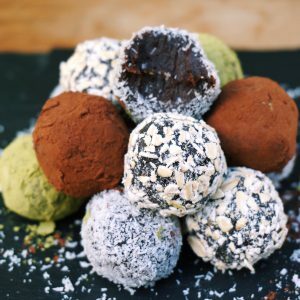 My favourite choices are desiccated coconut, rolled oats, cacao powder, crushed goji berries, flax seeds, crushed nuts and matcha powder (if you like the strong matcha taste you’ll like it, if not, it’s probably not for you). The best thing about them is that it only takes a second to whip them up for a quick snack and you can make a huge bulk and just store them in an air tight container in the fridge! 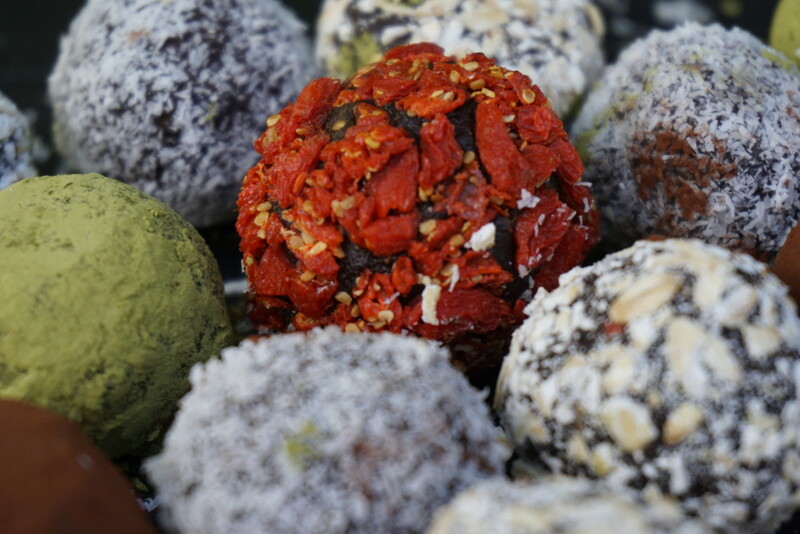 Take about 1 tsp size of the mixture and roll up small balls with your hands. 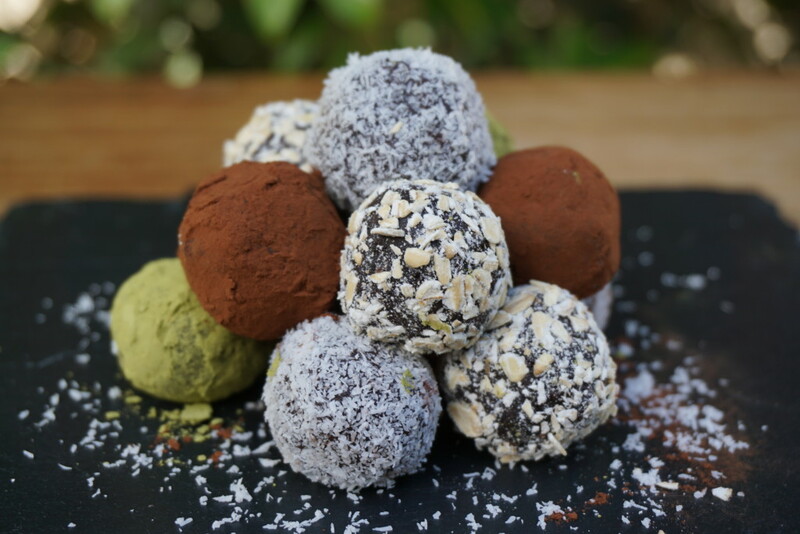 Cover the balls with desiccated coconut, cacao powder or any other toping you like. You can store them in the fridge and enjoy either chilled or at room temperature!